Parkour and freerunning are terms that are oftentimes used interchangeably, even by people who are actually doing them. However, there are quite a few differences between them and some of the most fanatical followers are quick to point them out. Parkour is a discipline that originated from the concept of efficiently conquering military obstacle courses. The premise of this discipline is to move the shortest distance from starting point to destination. Any extra motions are considered excessive. Contrary to how dangerous it might seem, parkour actually hinges on safety and efficiency. The premise of freerunning is somewhat contrary to what it sounds like. Most of the time it’s not about running but doing impressive stunts on the spot. It is a discipline that evolved from parkour, but created a distinct identity that set it apart from its predecessor. 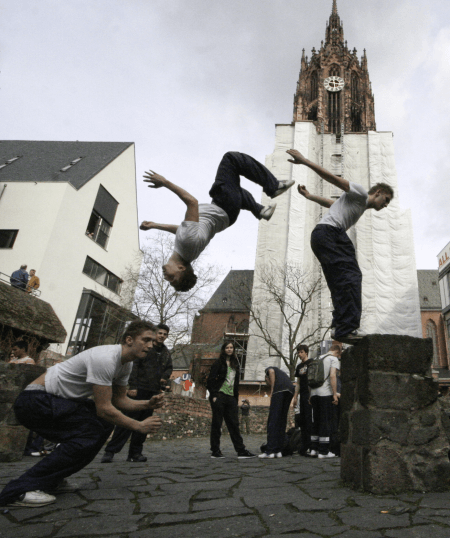 Freerunning puts more emphasis on flips and acrobatics but still retains most of the movements from parkour. This is considered to be a more dangerous sport than parkour, and it’s easy to see why. Ironically, it also draws more followers. 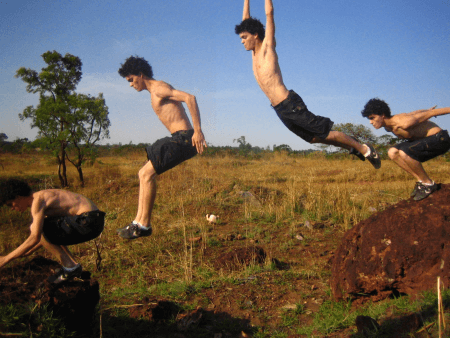 Both parkour and freerunning are physically demanding sports. Both require intensive training and movement repetition to make them easy to do reflexively. So then, what is the biggest thing that determines the difference between parkour and freerunning? The obvious answer is that parkour is a skill learned for practical use. Minimal risk for injury is the name of the game. On the other hand, a goal of freerunning is to develop skills to do impressive acrobatic movements. Another difference is in how parkour was developed as a military concept while freerunning stemmed from parkour and is more of a pastime. The video below further describes the differences and similarities between the two as well as a third, tricking.